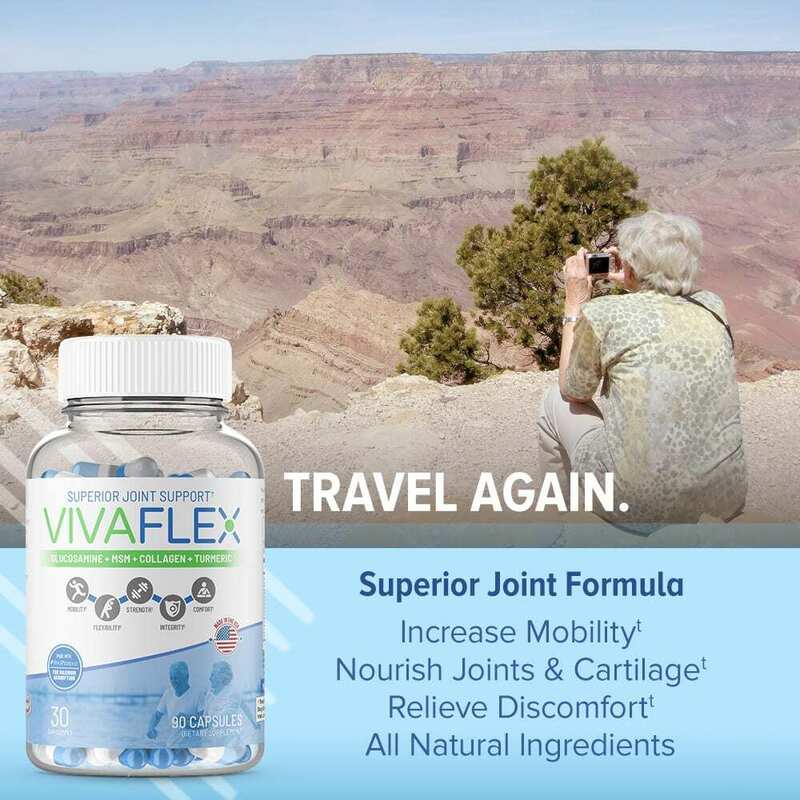 VivaFlex was designed from the ground up for one purpose – to truly be effective at relieving joint pain and discomfort for everyone. To help you get your freedom back and live life as pain free as possible. You can’t put a price on these things, so we didn’t put a price on building VivaFlex. 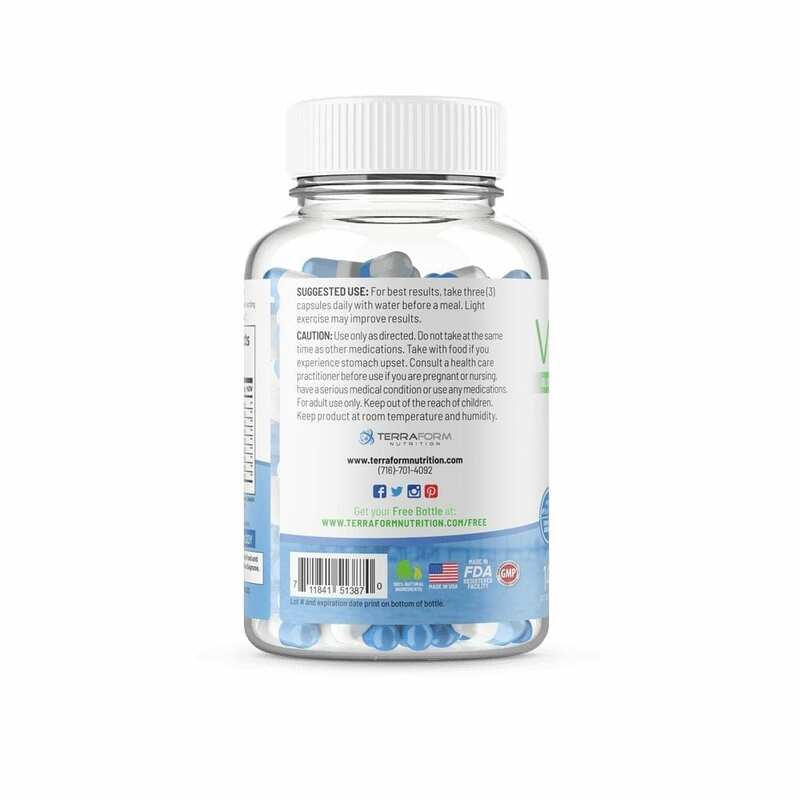 In other words, we used the absolute best forms of ingredients, at the correct strengths and dosage designed to work synergistically together. 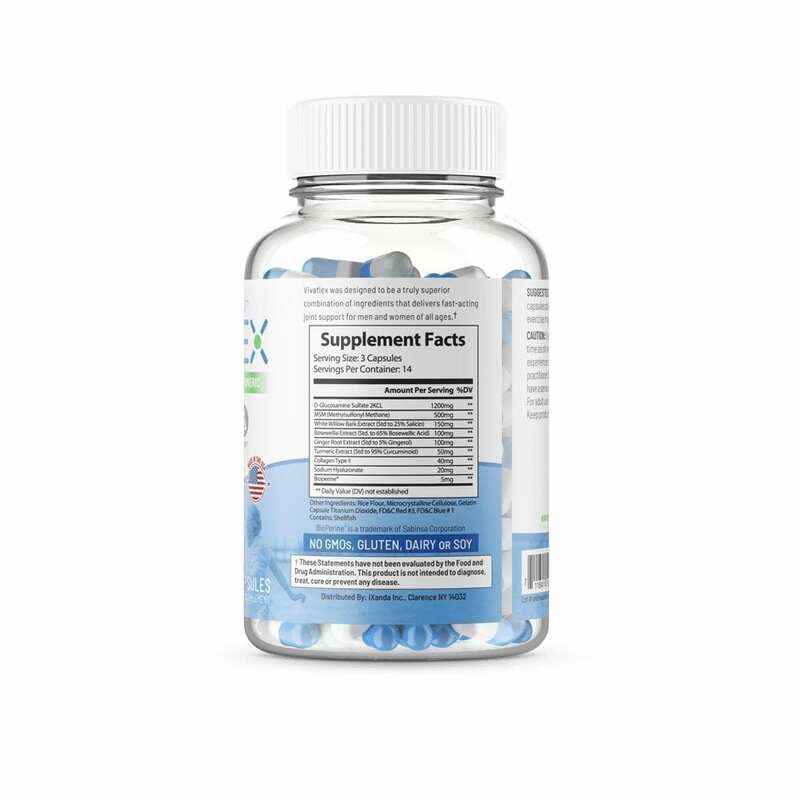 No other supplement is a comprehensive as VivaFlex, period. We even stand behind it with a 90 Day Money Back Guarantee because we know it works. Buy today and see for yourself! 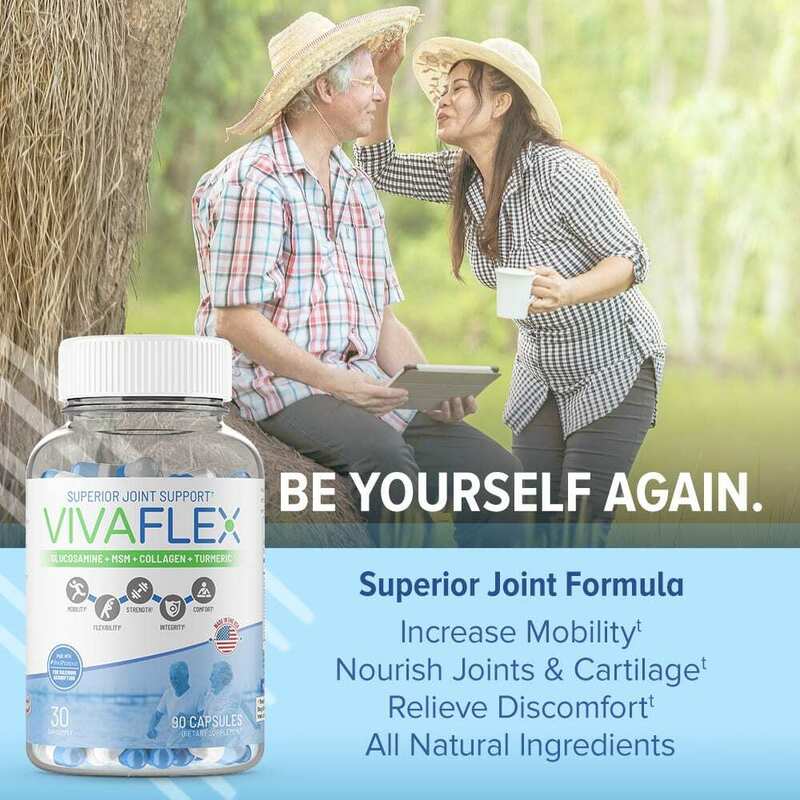 What makes VivaFlex different than other joint products? 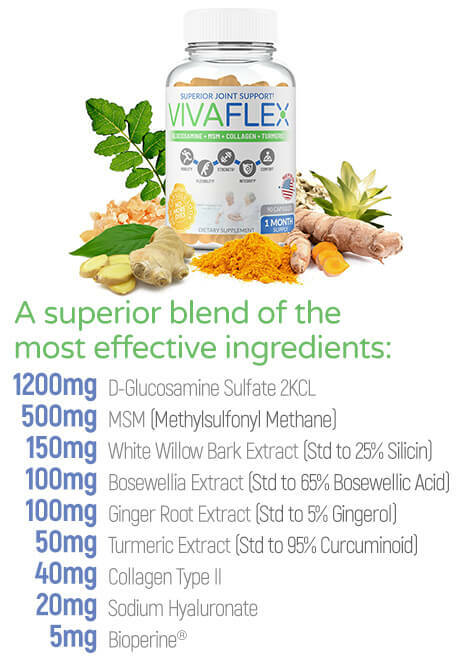 First and foremost, the #1 differentiator between VivaFlex and other products is the quality and combination of ingredients! Our formula is truly a unique blend of premium ingredients. Our formula, even our bottle, is fully transparent – we don’t hide anything behind proprietary blends. We encourage you to compare VivaFlex against any competitor though be warned, most don’t even show the ingredient strength on their labels! 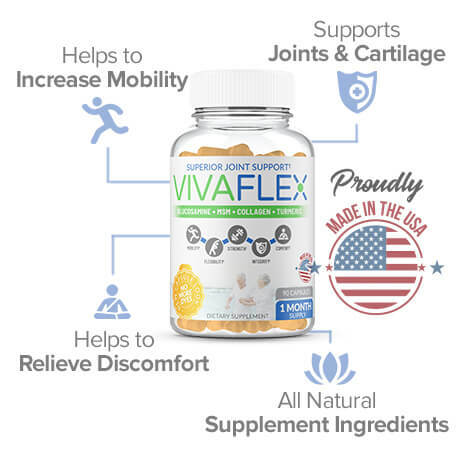 VivaFlex is the only joint support formula that combines Glucosamine, MSM, White Willow Bark, Bosewellia, Turmeric, Ginger & Collagen Type II – try to find another! 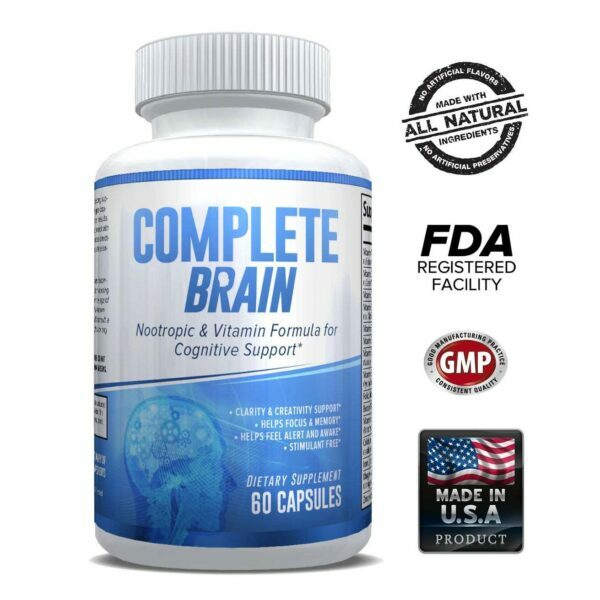 Just as important as using the correct ingredients is your body’s ability to absorb and utilize them. That’s why we included BioPerine® – a natural bioavailability enhancer. 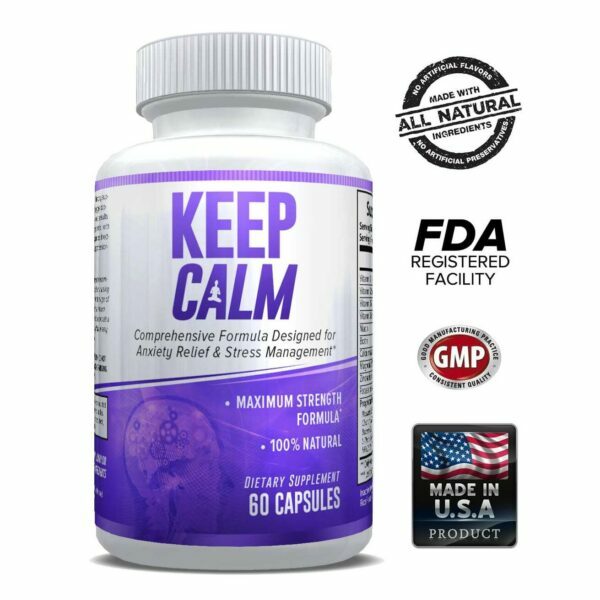 VivaFlex is proudly made in the USA, in a FDA Registered, GMP Certified, UL Certified state of the art production facility. Unlike many other brands, we work directly with our manufacture to ensure expectations are met. 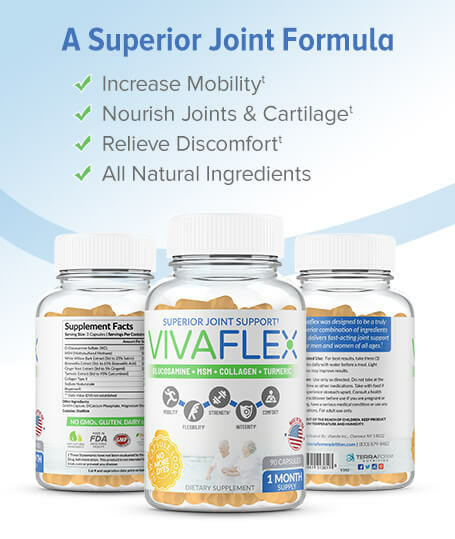 Why is VivaFlex more expensive than some other joint products? Simply stated, because it costs more to produce. 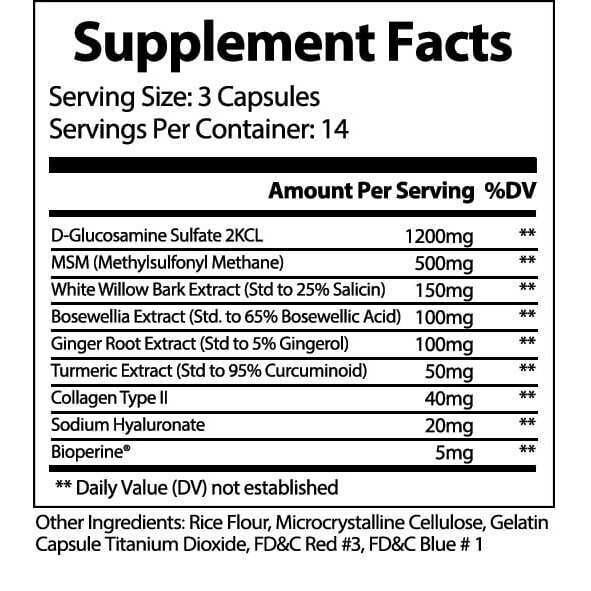 Most products don’t detail out their ingredients like we do and label them as a proprietary blend because they don’t want you to see they’re under-dosing and using the cheapest form of ingredients. For reference, try to find a product that shows you the % of Salicin in their White Willow Bark Extract – few even show it (meaning they’re low). Of those that do, can you find any at 25% Salicin like VivaFlex? Probably not. Among other reasons, this is one of the biggest reasons why you’ll find what looks like comparable products produce completely different results. Is there any sort of guarantee if the product doesn’t work for me? Absolutely! First and foremost, we are confident this should help, but of course we understand certain things work differently for different people. 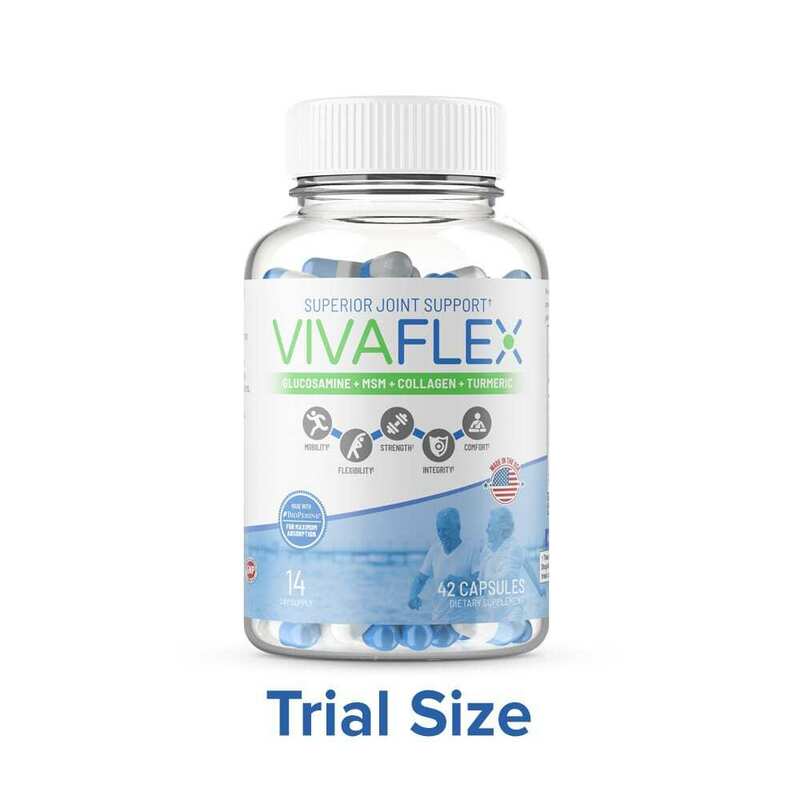 Because of how much we truly believe in VivaFlex, we offer a 90 day, no questions asked, return policy. Even if you return an empty bottle – you get a full refund for it. We only ask you try that product for 14 days before deciding. Transparent Formula: You should know exactly what you’re taking – we don’t hide behind proprietary blends. Not only do we disclose the amount of each ingredient, we even disclose the strength. Our bottles are even clear! Truly premium ingredients at correct strengths and forms. 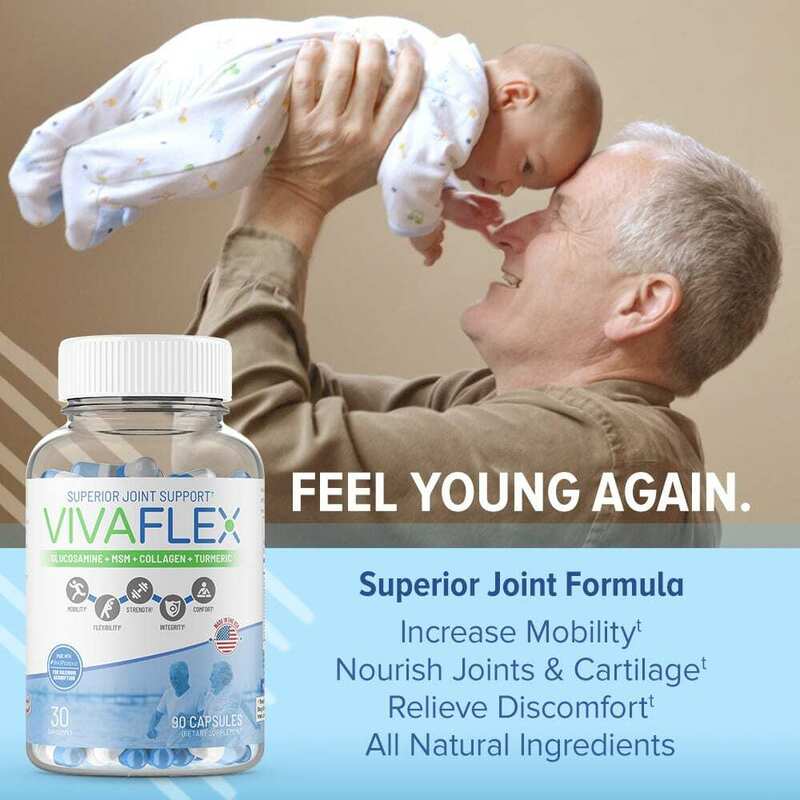 Only formula that combines Glucosamine, MSM, White Willow Bark, Bosewellia, Turmeric, Ginger & Collagen Type II – try to find another! Premium product at a not-so premium price. Includes a 90-day Money Back Guarantee. We know it’ll help but if you don’t agree, get your money back.